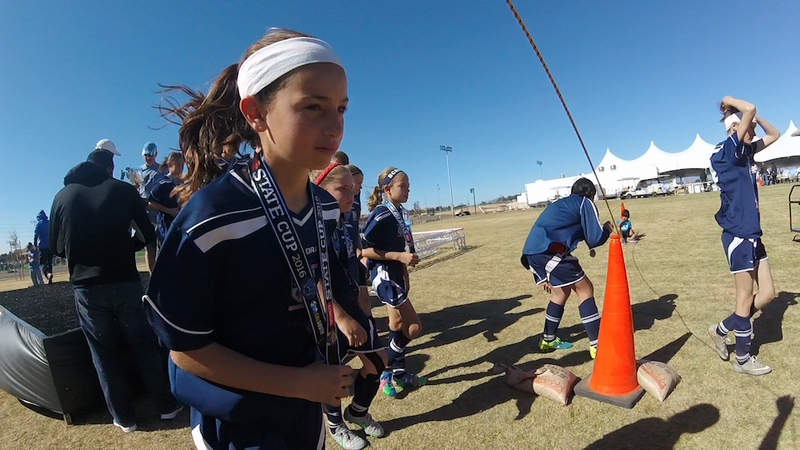 Sadly, the Scripps Ranch Girls U-11 Red team lost in the finals to the JUSA Jaguars. But, WHAT. A. GAME. The wind was the star of the game, as you can see (and hear) in this video. The entire match was played in one-quarter of the field. The Jaguars won an early corner with the wind, and a few odd bounces and mis-kicks took it into the goal. Our girls fought and fought, and in literally the last minute of the game, we equalized! On to extra time, and once that was goalless - penalty kicks. Melanie was chose to take the first kick - an incredibly stressful role. I think it's a testament to her coach's faith in her. Despite that, she ended up pushing her kick just past the post. In the end, only one of her teammates scored their kick, and the Jaguars hit three of theirs for the narrow win. Needless to say, Melanie was heartbroken. The picture below (actually a still from a video) was taken just after the trophy presentation, and while it breaks my heart to look at it, I also think it's beautiful. The emotion on each of the girls' faces... it gets me every time. Thankfully, it wasn't all tears. 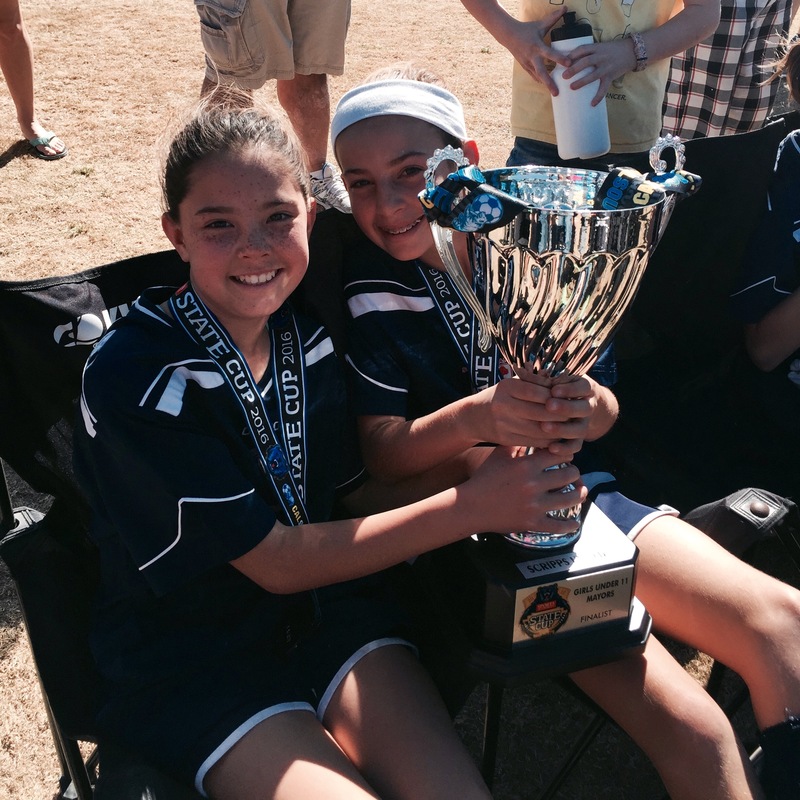 Here's Melanie and Avery with the trophy, just minutes later.